Infallible Techie: What is the use of Individual object and how to enable it? What is the use of Individual object and how to enable it? Individual object represents a customer’s data privacy and protection preferences. 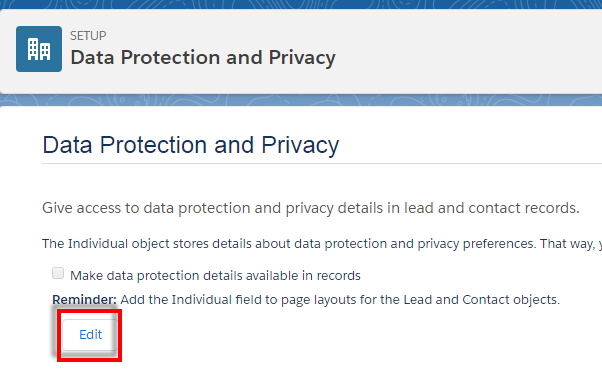 Data privacy records based on the Individual object store customer's privacy preferences and are associated with a lead or a contact. 1. 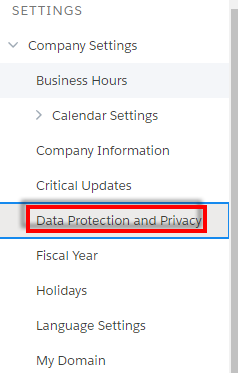 Go to Data Protection and Privacy under Company Settings. 2. Edit Data Protection and Privacy. 3. Save Data Protection and Privacy. 4. Add the Individual field to Lead, Contact, or Person Account page layouts.